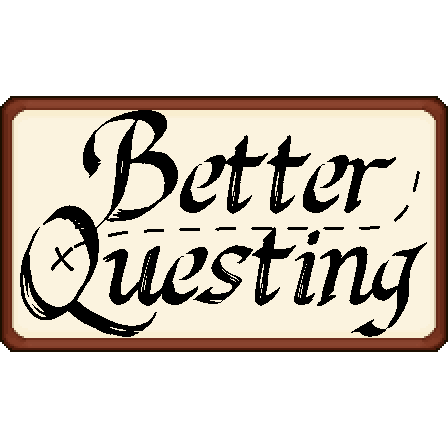 I think it's time we had a bigger better questing mod to play with. For a long time now I've wanted to see mod packs do more with the tasks players would undertake on their journey's but as it is, there is only so much you can do with the existing questing mods out there. I took it upon myself to spend the last few months working on a replacement that was completely modular so that any mod developer could create expansions and themes that builds upon the existing mod allowing for pack developers to have limitless choice in what they can do with their stories and adventures. - This is the base mod and contains only the base functionality for expansion packs to build upon. Please go download the Standard Expansion to get you started. If you or someone you know is a mod developer then feel free to download the developer version of the mod and create your own expansion packs. Want a quest task where the player has to do something specific with magic? Go for it! The possibilities are endless. How do you import quests to a server? I can't seem to get the quests from Gregblock to appear on my server and I cant figure out why. I have the same issue, except it says the command doesnt exist? 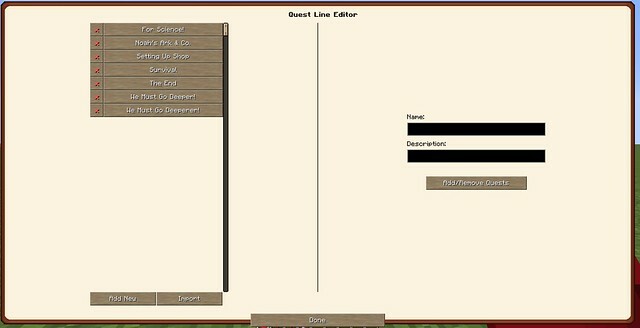 At normal GUI size it looks really strange, is there a way, to make it not affected by those options? How do i get rid of the numbers next to my quests? all my quests say "Name #(what order i created the quests in)"
any advice? besides update forge bc im not doing that. Why would you *not* update forge? It can be done in a few clicks. How do you change it so that items made before a quest is unlocked, still counts toward the quest. I'm missing something and I hope someone can help me. I'm creating a quest for the creative reservoir from Thermal Expansion. I've set ignoreNBT to false and partialMatch to false. But the quest is still completing with a basic reservoir. What else do I have to do so that it only detects the creative one? In my questbook, there's a number by every quest which I don't want to show. I don't see it in any of the tutorials but I can't figure out how to get it to go away. Yea that's a known issue with the Twitch launcher, been unfixed for years at this point I believe, even before the new redesign. The jar files don't store any questing data so you should be good to delete the old ones and swap them out for the newer versions. 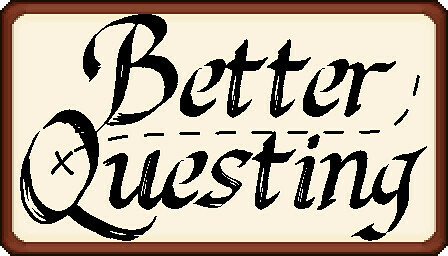 Questing data is stored in your world directories and a little in the config directories. 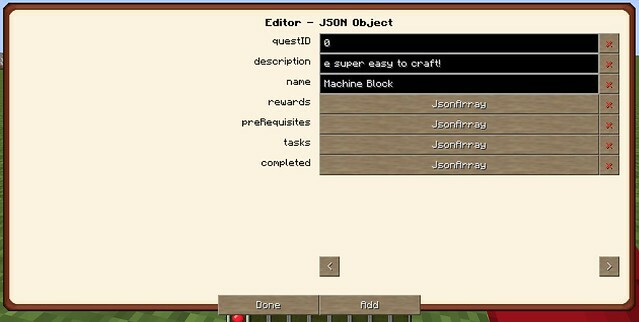 Hey, is it possible, that you can lock specified item from beeing shown in NEI/JEI and blocked for crafting, as long as the quest isn't finished yet or am I in need of another mod/addon for such a feature? Gamestages would be your go to for that functionality. After that just use a command reward to unlock such a stage. Probably not suitable for individual items though. Either way, BQ's more aimed towards questing, not content lockouts. 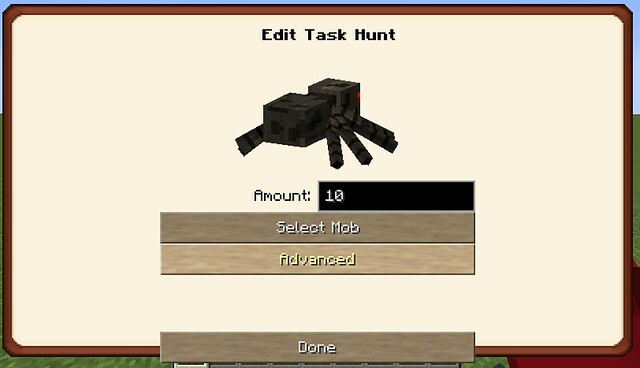 That's better left to other mods and those can provide questing hooks as necessary to link the two. If updating Forge isn't an option for you than there's nothing I can do for you. I usually build against 2768 due to it being the current recommended build. There IS still a crash with that version (see other comment) but that's because I accidentally built to 2784 instead in recent builds but will be rolling back to fix that as of 3.5.294. Even then, I'm not doing support for 2705. Crash I am getting on startup Forge 2768. Hello. I am using Advent of Ascension mod as it recently has updated to 1.12.2. I was adding a quest where they had to kill one of the bosses from that mod. However, the boss's health bar appears as if the boss was there when it is not. I'm not sure if its cause of Advent mod or Better Questing (or both) so I am wondering if you have an idea about what is happening. (I was told that the bar should only appear if the boss is alive). AoA probably doesn't understand that its entity isn't actually within the world but rather just rendered in a GUI. Withers and Enderdragons don't seem to have this problem so I assume AoA's health bars are entirely custom and haven't been programmed to handle this edge case.